Firstly, its important to note that most chronic pain (long term, dull, achy) is soft-tissue (muscle, tendon, ligament & fascia pathology) in origin. It is estimated 75-95% of regional (chronic) pain is myofascial (muscle and/or fascia pathology). Furthermore, most soft-tissue pathology does not show up on medical scanning techniques (x-ray, MRI, ultrasound etc) or blood tests, meaning medical investigation may not reveal the ’cause’ of your pain. Chronic Pain is a health problem, so your doctor or the NHS is the place to go to get your pain (musculoskeletal issue) treated, right? If your really lucky you will be referred to a pain consultant, neurologist, or rheumatologist who can diagnose and fix your problem, sorted! After all, no one could be better qualified to treat chronic pain than a highly intelligent, top medic who has spent 10 years studying evidence based medicine (and 5 further years specializing), can they? Besides, even if you don’t get a consultant referral, an NHS physio should be able to sort you out with some decent treatment, no? If you have ever suffered with chronic pain and gone the conventional medicine/NHS route you are likely to have found yourself somewhat frustrated and disappointed with your treatment options. What use is a diagnosis if your still stuck with the pain, or just ‘dosed up’ on painkillers? But why is this? With all the science, money, specialist consultants, physios and specialist equipment, why does conventional medicine still struggle so much in the effective treatment of chronic pain? In this blog I aim to discuss some of the main reasons I feel conventional medicine falls short, and will continue to do so, unless it integrates specialist ‘hands on’ practitioners into the NHS. Perhaps the most important point is that most chronic pain is ‘soft tissue pain’. Interestingly, no medical specialty covers ‘soft-tissues/muscles’. We have neurologists, rheumatologists, orthopaedic surgeons etc, but no ‘musclologists’! Soft tissue pain, of course, requires soft-tissue treatment… MASSAGE! Massage (& Bodywork) Therapy are not part of conventional medicines remit. Therefore, if you are going to a ‘Pain Consultant’ with chronic, soft tissue pain, they are unlikely to be highly trained in the specialist massage and myofascial treatment required to effectively address your pain! Even, by some miracle, if the consultant is a highly skilled soft-tissue therapist (ie. Level 5+ qualified, including extensive trigger point therapy & myofascial release training) they would not be able to book you in for a 1 hour treatment on the 4-8 consecutive weeks required to address soft-tissue pain (neither can your GP, in a 10-12 minute appointment slot). You get your half hour, a prescription, possibly booked in for a ‘pain treatment procedure’, or referral to a physio. So, why can’t the physio just do the required specialist hands-on treatment to address your pain? Contrary to popular belief, most physios are not experts on ‘hands on’ treatment (esp NHS/junior physios) . Generally physios are experts on rehabilitation (teaching you exercises/stretches to help your body heal & repair). Their degrees are packed full of information on anatomy, pathology, theory, electrotherapy, exercise, diagnostics, and neurological/respiratory/injury/surgery rehab; there is very little time left for ‘hands on’ interventions (I have been told many modern physio degrees don’t even include massage training). More and more, physiotherapy is moving away from ‘hands on’ treatment, and focusing on motivating the patient to help themselves with rehab. This is a noble aim, and important, but most soft tissue pain also requires decent soft tissue (massage/myofascial) treatment, at least until the stage your pain is reduced enough to effectively do your rehab. Few physios have high level massage & bodywork skills, most of their massage training is also taught by physios who may also lack massage/bodywork expertise. To give physios a sound knowledge of massage/bodywork treatment university’s would have to add (at least) a year to their degree courses, or cut a massive amount of their current syllabus to make way for this training; neither is going to happen! To get specialist soft-tissue treatment you need to go elsewhere, or find a physio who has extensively trained in specialist massage & bodywork before, or after, their physio degree. Muscle imbalances which have caused the facets to become compressed by hyperlordosis. A massage therapist would lengthen hypertonic muscles/fascia to reduce facet compression. Painful trigger points causing dull-achy pain. Trigger point therapy (massage) would address these to reduce chronic myofacial pain. Restricted fascia around the back/pelvis. Myofascial treatment could release this easing pain/stiffness, and correcting aggravating structural misalignment. Fixated (stuck) facet joints. Mobilization and/or manipulation could free up painful stuck facets, restoring lumbar biomechanics. Muscle spasm and fascial tension. Massage and myofascial treatment can be used to address spasm and tension which may be contributing to chronic pain. As you can see from my example, chronic pain is not simply the ‘one thing’ which medical procedures often aim to address. Many of the aspects which need treating, also need ‘hands-on’ interventions outside of the remit of doctors (and many physios). If you need/want medication, injections, rehabilitation or surgical intervention conventional medicine can cater for you well, however for specialist hands-on intervention for pain/injury it falls well short. So the solution is simple then, conventional medicine/NHS just needs to employ Massage/Bodyworkers to address chronic soft-tissue pain, and Osteopaths/Chiropractors to address neurological & joint pain. If only, but where is all the extra money going to come from to pay for 1000’s of extra NHS staff, when the NHS is already understaffed, underfunded and overstretched; higher taxes? Surely all the hospitals, community hospitals and larger GP surgeries could employ Massage Therapists & Osteopaths instead of Physiotherapists, to get better results in treating chronic pain? Not really, they (rightly) cannot ‘fire’ current physios to make way for complementary therapists, without good cause. Also, if NHS institutions started to hire non-medically trained (ie. unqualified) Massage Therapists & Osteopaths, instead of physios, the physios (& CSP) would be up in arms… “their taking our jobs, and there aren’t enough jobs to go around as it is!” Therefore, even if NHS institutions had the foresight to employ a percentage of complementary ‘hands-on’ therapists, instead of physios (for chronic pain treatment), it would not be easy to implement (and NHS budgets may not allow non-physio employment). In 2009 NICE decided the evidence for massage, osteopathy, chiropractic and acupuncture was good enough with back and neck pain, to allow NHS funding for these treatments through the Any Qualified Provider (AQP) route. Many complementary therapists (and patients) were excited, hoping that ‘at last’ patients could easily get decent hands-on treatment for chronic pain, on the NHS (as an alternative to Physiotherapy). Unfortunately bureaucracy & regulation put many obstacles in the way of this happening. NHS Clinical commissioning groups (CCG’s) were only looking for large-scale musculoskeletal practices in their area, which tended to be the bigger private physio clinics (all but 3 AQP contracts in Hampshire were physio clinics). Most of the Massage & Bodywork Therapists (soft-tissue specialists) best qualified to address chronic (soft-tissue) pain were one man bands, who had no chance of securing a contract. Further to this, clinics who tendered for the AQP contracts had to to undertake unnecessary, costly and time consuming training, deal with endles ‘red-tape’ and prove their treatment effectiveness through statistical data (which most therapists don’t have). This took months of work and many great therapists were either too small to apply for AQP, could not meet the required criteria, or decided it wasn’t worth the hassle! It’s turns out the ‘Any’ in Any Qualified Provider was far from literal, and most complementary therapy providers could not get NHS funding! NHS funding of soft-tissue specialists therefore remain a rarity. This last point I wish to address in this blog, which deserves a blog all of its own, is if Massage & Bodywork is so ‘amazing’ at treating chronic soft-tissue pain, surely the scientific evidence would reflect this? Well no, sadly not! Why is this? Its quite simple really; there is no money to be made in proving massage is highly effective in treating chronic pain. This is because there is no ‘product’ to sell at the end of the study (eg. drug, biomedical technology, retail product). If your going to invest £10million in a good quality, large scale randomized controlled trial (RCT) you have to be pretty sure your going to make at least £20million back! Most massage schools, therapy teachers and (massage/bodywork) professional bodies are not valued at the cost of one, good quality study. Good quality scientific evidence remains the privilege of pharmaceutical giants, biomedical companies, multinationals and governments, ‘you get what you pay for’. Conventional medicine is ‘evidence based’ so makes it treatment decisions based on the best evidence, pay-rolled by big business. Doctors are not about to prioritise hands on treatment (with sketchy evidence) they cannot do, over proven drugs, biomedical procedures and operations within their remit! In summary, the majority of chronic pain is soft-tissue in origin. The best people to treat chronic soft-tissue pain are not, in fact, the doctors and physios who treat it in a conventional medicine/NHS setting. 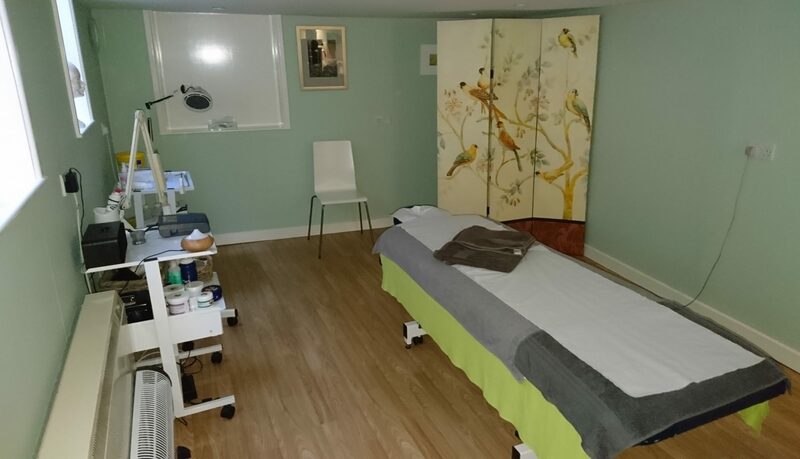 Soft tissue pain requires specialist ‘hands-on’ soft tissue treatment by Massage & Bodywork Therapists, this is rarely available with NHS funding, and most NHS physios have little quality training in this area. Drugs, injections & biomedical procedures tend to focus on treating the symptoms, not cause of chronic pain; they also only tend to deal with ‘one part’ of a multi-faceted problem. It is unlikely the NHS will ever be able to employ/fund the required numbers of Massage Therapists (or Osteopaths/Chiropractors for neurological pain) to effectively treat a large proportion of the UK population in pain. Radical improvement in chronic pain results are possible in the NHS, but only if it employs large numbers of (non-medically trained) ‘hands-on’ specialists who do what the drugs, medical devices, doctors and physios cannot, and this, for now, seems an unlikely scenario.